As a member of the Y, you are given complete and total access to all of our Exercise Classes. All Y fitness classes welcome anyone from beginner to advanced. You can use the suggestions below as a guideline, but feel free to try them all! 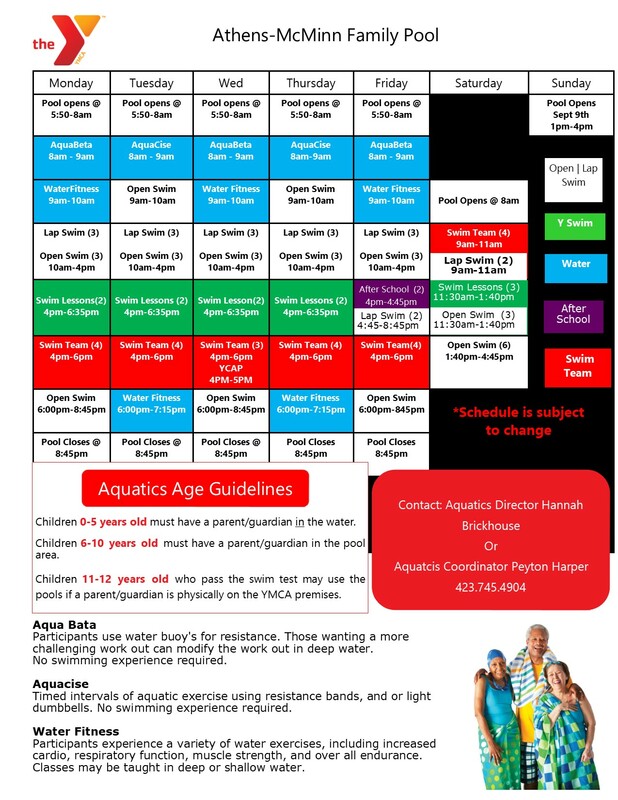 If you are new to fitness, try Go Fit, Pilates, Strength & Conditioning, and Aqua-bata. If you are more advanced, check out Cycle, Zumba, Barre, and Yoga. For a really intense workout, try Boot Camp, Coach by Color Cycle, and BARRE Above. If you have any questions regarding land and water exercise classes, contact Julie, Director of Health & Wellness at 423-745-4904.